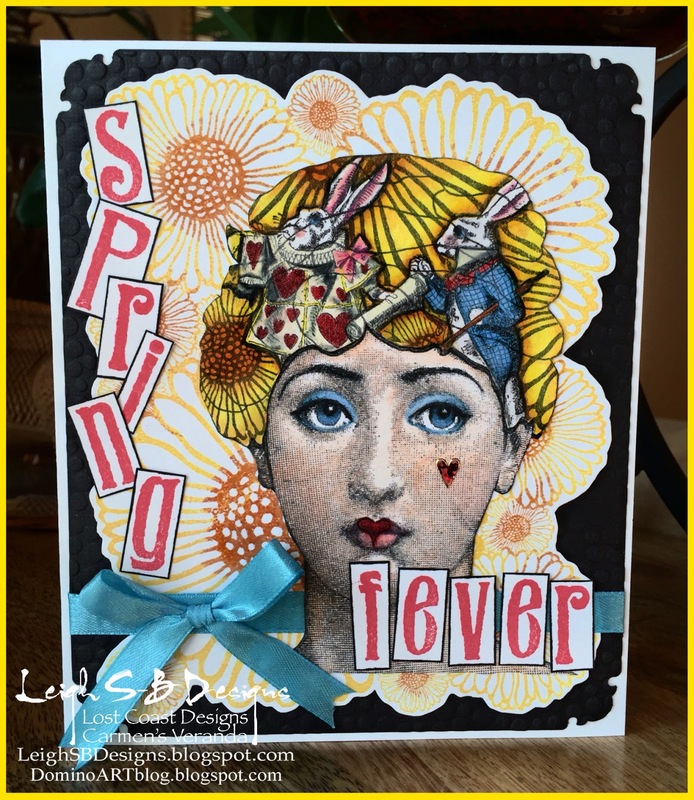 Velvet Paw Creations: "Spring Fever in Wonderland" - Lost Coast Portal to Creativity Spring Event! "Spring Fever in Wonderland" - Lost Coast Portal to Creativity Spring Event! YAY...Spring is finally here...for some of us anyway, I hope everyone still getting bombarded with snow is hanging in there! 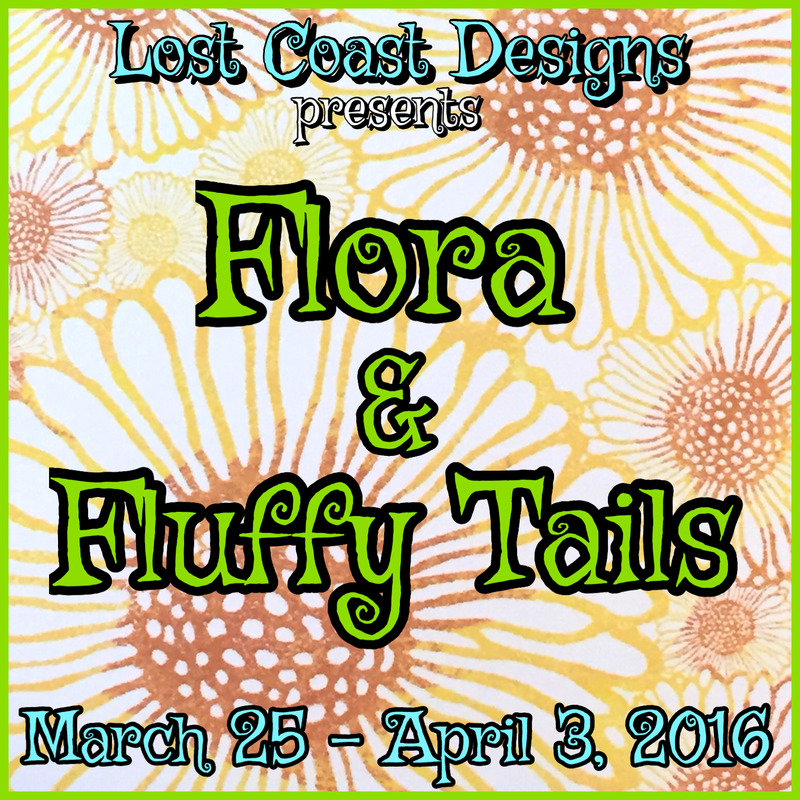 We're celebrating Spring and the upcoming appearance of the Easter Bunny with a Flora and Fluffy Tails event over at Lost Coast Portal to Creativity today, come and join the fun and enter your Flower and/or Bunny themed projects by midnight PST on April 3rd! I stamped the Franco Face twice with Tuxedo Black Memento ink and used one as the base and the 2nd for the 'brain' stamping. 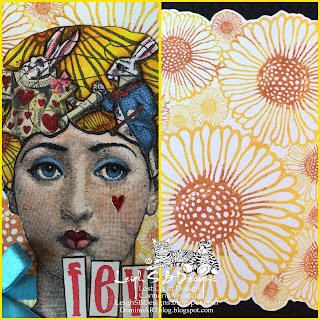 I stamped the bunnies 1st with black Memento, masked with Pebeo Drawing Gum and then stamped the Doodle Flowers. Everything was coloured with Prismacolor pencils and then the 'brain' area was fussy cut out and layered on top of the base for a touch of dimension. I wanted a Tim Burton-esque Queen of Hearts so I drew a heart on her lips, gave her blue eyeshadow and a jeweled sticker heart instead of a beauty spot. 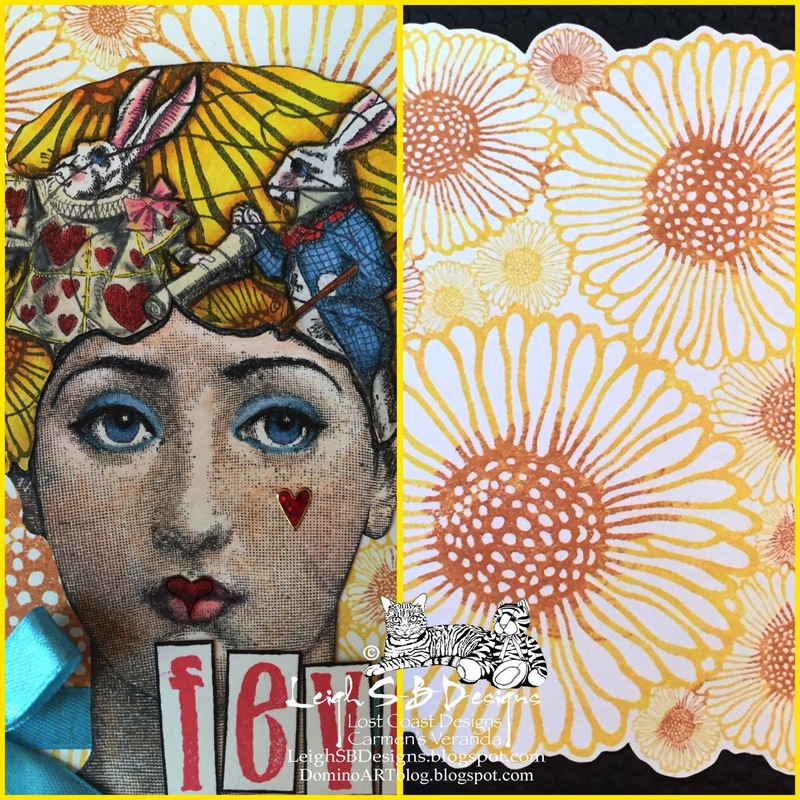 For the floral background I inked up the Doodle Flowers stamp with Dandelion, Cantaloupe and Potter's Clay Memento ink, fussy cut out leaving a narrow border and layered that onto a sheet of black cardstock embossed with a bubbles Cuttlebug embossing folder. The embossing folder was used twice to create the size I needed. The corners are punched with a Marvy decorative corner punch. The words "Spring Fever" were stamped with Lady Bug Memento ink, cut out and edged with black Sharpie and the card completed with a blue satin ribbon and bow. Everything was adhered and mounted onto a folded card made from white cardstock with Scotch Quick Dry adhesive. 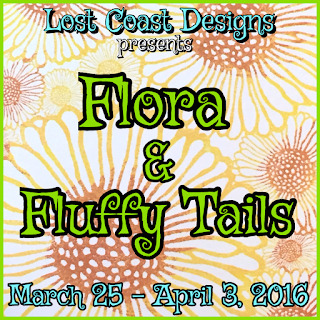 Thank you for stopping by to see my project and I hope I've inspired you to come and play in our Flora and Fluffy Tails event over at Lost Coast Portal to Creativity! I love how you incorporated the images of the rabbit into the larger stamp. Genius!! !